Discussion in 'The Lounge' started by N8 v2.0, Sep 5, 2005. I bought this beauty Sunday!!! Very Nice Now get out ther and get it dirty !!! so Now whats it got on it ? 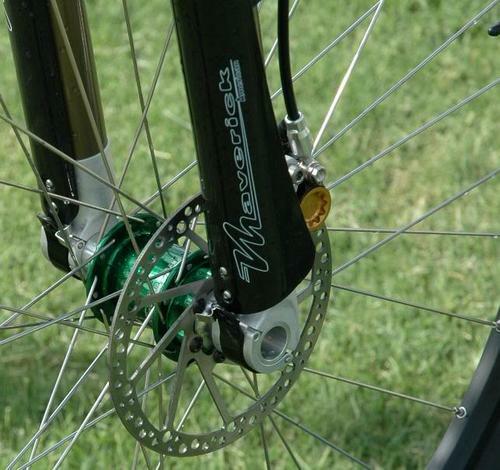 Looks like an SRAM X.0 rear der. I rode the bike today and I LOVE IT!!! I can't believe what a difference in ride quality the 29" wheels make. FSA Megeaxo crank/bb, X.0/X.7/X.9 Triggers and X.0 Rear Deraillieur, Front Shimano XT/XTR, WTB tires, Mavic Rims, Maverick DUC32 for the fork, fox rp3 rear shock, Chris King Steelset in black, Thomson Seat Post, Easton Stem, Eggbeaters, electrical tape that serves as a chainstay protector, Hope(They work) Brakes, WTB Grips. Only things I can't identify are the handlebars and saddle. Did you buy that from Nathan J.? Nice! Titus certainly does make some beautiful bikes!!! I did! You know him..??? Ah... he's a Fayetteville d00d huh..
Yea, guys such a gear whore. His hobby is buying and selling bikes. Should be root beer.....or pink. Its the new black you know. FSA Megeaxo crank/bb, X.0/X.7/X.9 Triggers and X.0 Rear Deraillieur, Front Shimano XT/XTR, WTB tires, Mavic Rims, Maverick DUC32 for the fork, fox rp3 rear shock, Chris King Steelset in black, Thomson Seat Post, Easton Stem, Eggbeaters, electrical tape that serves as a chainstay protector, Hayes Brakes, WTB Grips. Only things I can't identify are the handlebars and saddle. Titec Pluto carbon bar, and a Titec saddle... soon to be replaced with my Terry Fly. He says he loves building them... LOL! Don't blame him. He has the $$$ to do it and is a nice guy to boot. It'll be one of the new Konas or On-Ones. Oh... the shock f'ing ROCKS!!!!!! Hey I resemble that comment! And Splat is worse than me - he's got about 15 bikes! what? no shot of your mug? awesome bike... great choice.. have fun riding it!!!! 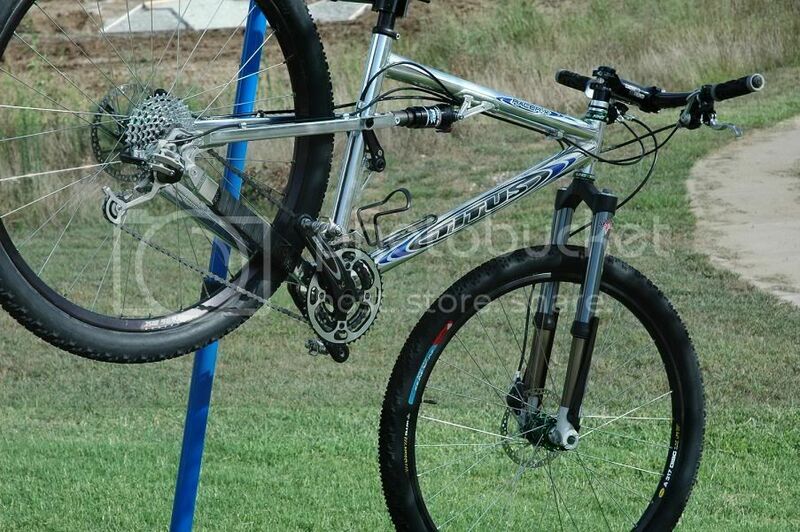 As much as I dislike 29'ers that is one fine looking bike. How much does she weight??? Not quite , I just Buy them , I don't sell them again! Looks nice man... I wish BOT would hold another test ride out at the trails here because I'd love to check out a 29"er. Seems like it would roll over things better and put a little more tread on the ground. The plushness of the ride is simply amazing vs. a 26" bike that is for sure! 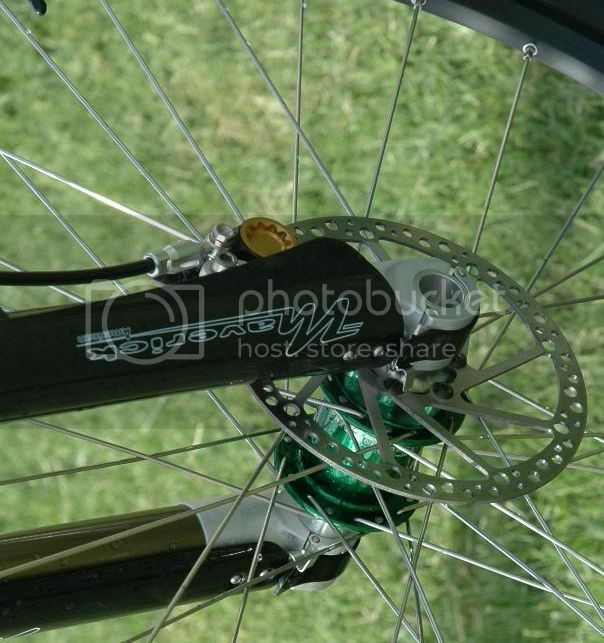 why does it look like the front tire is gonna bottom out on the crown of the fork. super nice rig though. exactly how i would have built it. Nah... there is a spacer in it to prevent that. ...and a Titec saddle... soon to be replaced with my Terry Fly. smartest thing i've ever heard you say. Getting a set of these installed on my baby today! Have you ridden it yet? If not, what's the hold up? I rode it on Monday and took it to the shop on Tues for the trigger change out.